More than 300 chinchillas have been removed from a southeast Wisconsin home deem uninhabitable by authorities. 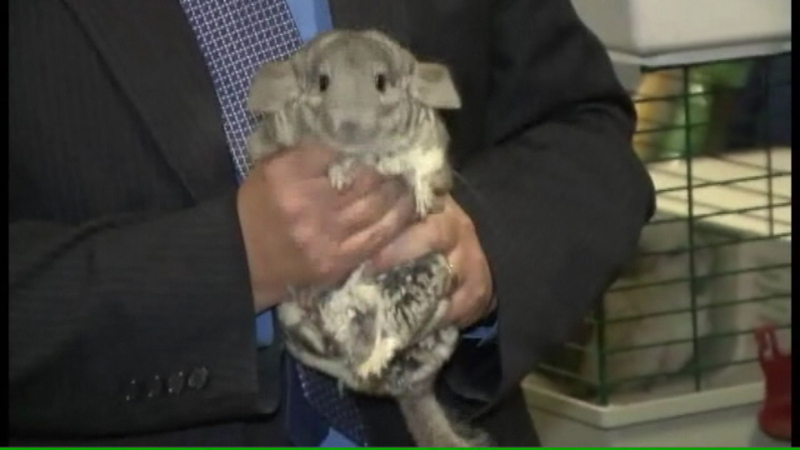 WAUKESHA, Wis. -- More than 300 chinchillas have been removed from a southeast Wisconsin home deem uninhabitable by authorities. Police were called to perform a well-being check at the residence in Waukesha on Sunday. Officers reported unkempt conditions, as well as the strong scent of ammonia and animal urine. The Waukesha Fire Department deemed the home unlivable after testing the level of ammonia. The Humane Animal Welfare Society was called to remove 331 chinchillas and two cats. Authorities also found nearly two dozen dead chinchillas. A battalion chief for the city of Waukesha Fire Department says the adults living in the home admitted to breeding and selling the small rodents. He says the conditions inside the home were the worst he's seen in 30 years on the job.